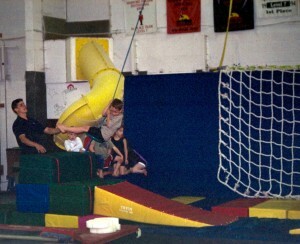 Top Flight Gymnastics offers one-week sessions for children during Summer. Thai Boxing is taught by Scott Anderson. 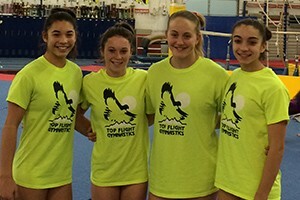 Sign up for Fall classes by September 30 and get a FREE Top Flight Gymnastics T-Shirt. Congratulations to Thomas Borwah. 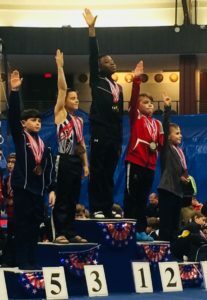 Thomas scored a 61.6 to win the All Around Championship at the USAGymnastics Region 7 Championships in Middletown NJ on April 7 2018. Hannah received the McDaniel College Presidential Scholars Full Tuition Scholarship. 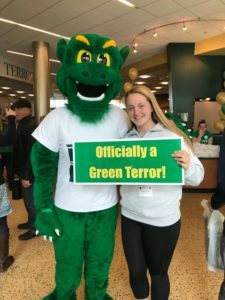 It is the highest academic honor given to incoming freshmen and covers all four years of tuition. 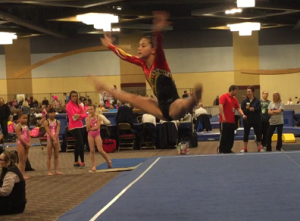 Hannah has been a competitive gymnast at Top Flight for the past 8 years. Copyright © 2014 Top Flight Gymnastics. All Rights Reserved..